I’m back with my post for the week, as promised! Happy December! I love Christmas so I’ll definitely make an effort not to disappear, which would be easy for me this month. If I’m not consistent here, be sure to check out my Instagram cause I’ll definitely keep you up to date on there. Anyway, back to the post. For December I’ll be sharing things I’ve learned this year or been pushed to remember. The first thing I’ve learnt is to scoot just a little out of my comfort zone- scoot because going out completely is a lot to do all at once. So this year, I’ve been trying to do more things that I don’t do. One of them is planning everything to the letter. This year, I’ve learnt to let go a little, to let the moment be. That sometimes, not having a plan is better. I just take the ‘nows’ as they go without overthinking what’s going to happen next or all the other things I need to. If you’re an over-thinker and planner, like I am, you should try this at least for December and see how it works out for you. 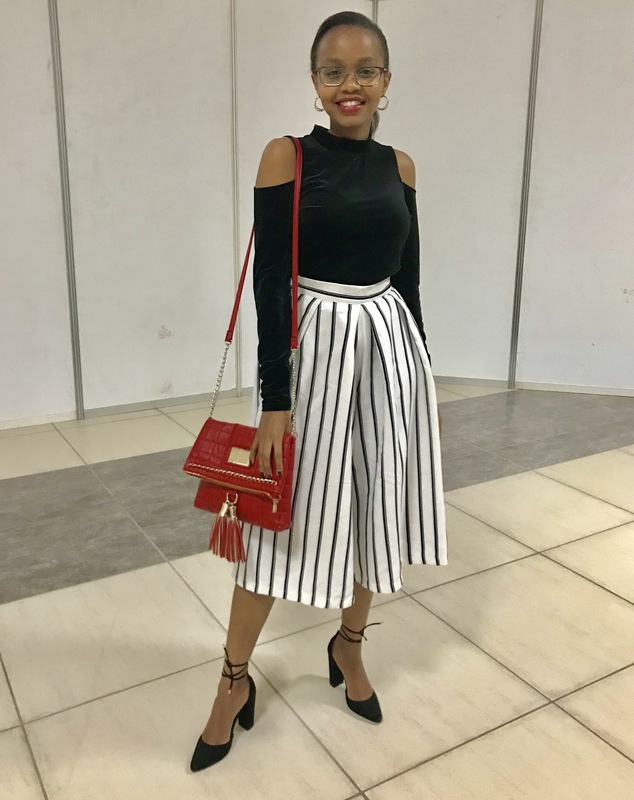 Last weekend, I attended Nairobi Fashion Week and I honestly had so many reasons why I shouldn’t have gone but I went. I loved it and enjoyed dressing up very much. Enjoy looking through the pictures. I love the stripe pants!